Netexplo Change is a yearly rendez-vous for highlighting the special moment ‘when enterprise turns to digital’. ‘Creative Cooperation across Borders‘ article acknowledges how global connectivity is blowing up protected nests, and ‘Smart’ is embracing every industry and places: Smart-Phone, -Home, -Car, -City, -Retail. Every business has to flip the switch for digital, starting cooperating and cocreating with the digital culture and leveraging digital assets. Netexplo Change show how things can positively pan out: it outlines the most creative digital initiatives among French corporate candidates. They decide to change the world, as the world is changing fast with digital. Cvous.com is an original web site for Casino food distribution corporation: it welcome consumers to express theirs wishes and create tomorrow’s products. It’s a young team lead by Adrien Moreira and Henrik Perrochon who share their enthusiasm about this initiative: they speak of ‘consum’actor’, the consumer playing an active role on the products and brands on shelves. ‘Every one can say his word about the store’ they claim. 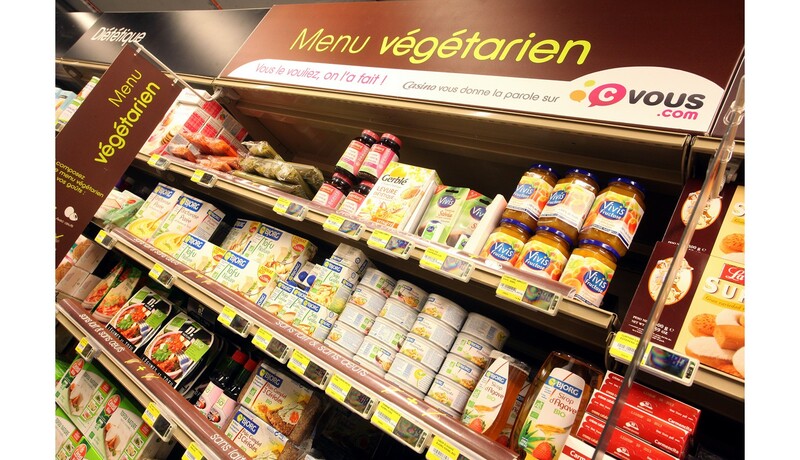 Thus a vegetarian shelf has been set-up, and a specific offering for ‘apéritif’ in the summer period! Operations are shared between Casino stores, and can be replicated based on local initiative. Meetings involve ‘super consumers’, ideas are discussed with suppliers who can provide samples for testing. Cvous.com is a small team of 4 people with internal skills enabling autonomy and a sponsor in the executive committee: agility is best to change the product line. Solocal is the new brand of Yellow Pages. It handles the Mappy online-map site , receiving 8 millions unique visitors per month. Mappy has tweaked a search engine using geolocalisation to direct you to the nearest store. 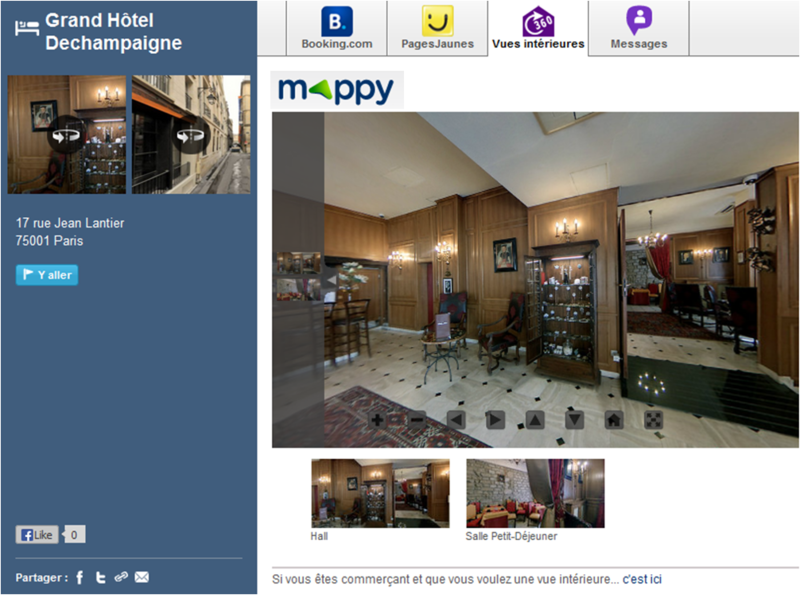 Pascal Thomas, Mappy’s CEO, presents a panoramic view of the inside of the store, based on a simple iPad picture taken on-site. It’s an industrial organization: one street, one photographer. 70% of the stores give their agreement to the panoramic picture. Mappy’s change is to link ‘web2store’ by extensive online multimedia information about the store. Jump is an initiative of BNP Paribas Corporate & Investment Banking (CIB) launched by Jérôme Dubois, chief of Innovation: it’s a collaborative platform, a community for innovators and experts. Every employee can write there about his skills and interests, and submit a project idea. 70 innovators will review it during a period of time and provide their candid and argued opinion. Jump system is a funnel for best ideas to raise to the innovation committee. Contributing to Jump is quite natural for managers and innovators, but what about experts? Experts motivation comes from effective progress they derive from the review of innovative ideas submitted. One surprising tip is that anonymity has fostered ideas: actually anonymous innovator handles critics from experts much better… Jump has collected 12 000 profiles, and the subscription of 50% of BNP CIB collaborators. Orange Mon itineraire is presented by Ziryed Marouf and Ludovic Guilcher from the HR department. It’s a web site with a slick user interface to support mobility within Orange: jobs offerings are ranked by entity and geographic area, with a different color according to employee’s skills, and make it easy for anyone to draw his path toward his next role. 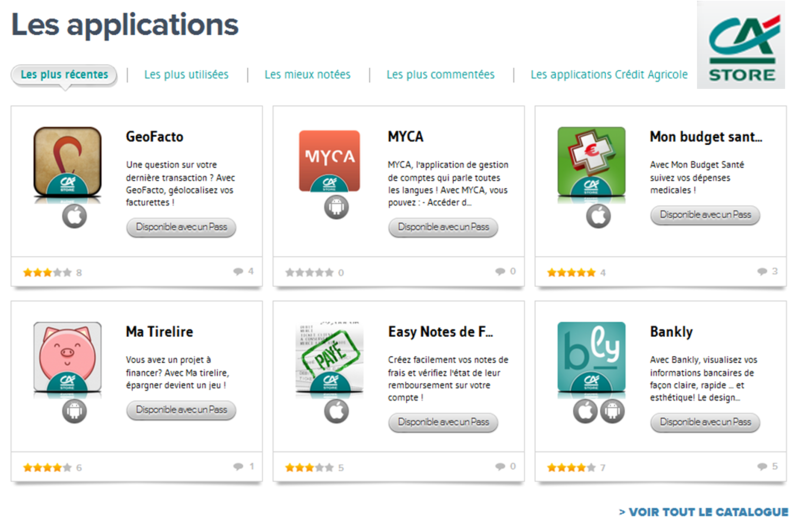 Castor is a collaborative store for applications set-up by Credit Agricole, historically a bank for farmers. Castor opens data to new type of farmers, ‘digital cultivators’, who will create apps on top of them. 26 apps have been designed in 5 months: making it easier to read account statement, predicting coming expenses, geolocating expenses, sorting different types of expenses. Customer gives his agreement on data utilization. He pays € 70 cts for 10 apps. Developer gets a revenue share on subscription fee and usage. La Poste Facteo is a project presented by Nicolas Routier, Deputy General Manager. The idea is crystal clear: let’s connect our 90 000 postmen to propose to our customers tomorrow’s products of our company, La Poste. The challenge here is about managing change. 2 500 smart phones have been distributed to postmen: they push professionnal information on postman’s delivery, customers, return shipping, and can be utilized for personal use. Then creative services come through this channel: digital signature, QR code reader, Digishot, a certified picture with location and time code. Thus, postmen facilitate digitalization within a familiar customer relationship, capitalizing on an extensive and trusted network: change with continuity. Initial investment was €m 10, €m 40 would be necessary for the run. ‘Facteo is a project based on desire not on spreadsheet’ says Nicolas Routier. ‘We started with 15 smart phones and a team of committed postmen: 3 months later, the apps were up and running’. Facteo was logically awarded ‘Grand Prix 2013’ by the audience.